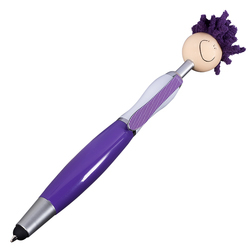 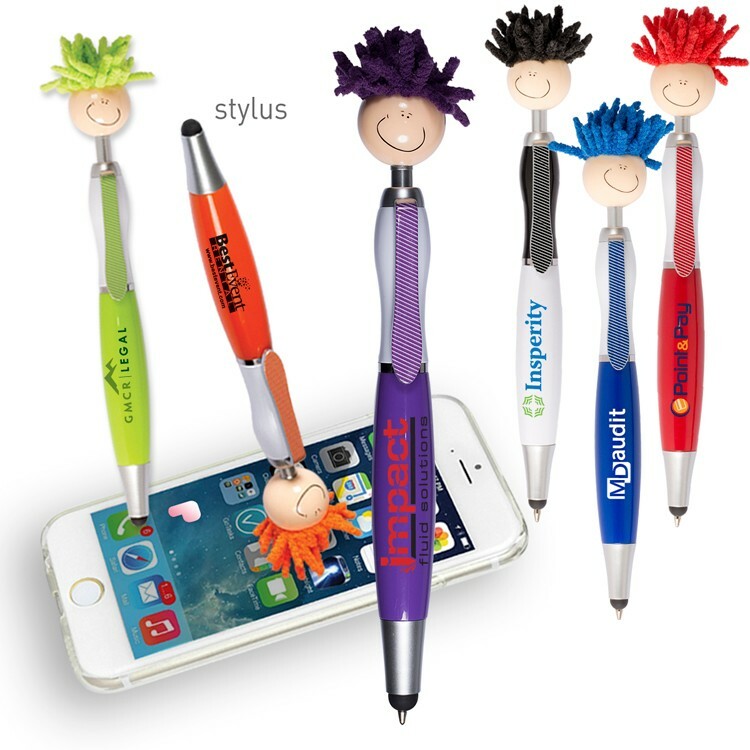 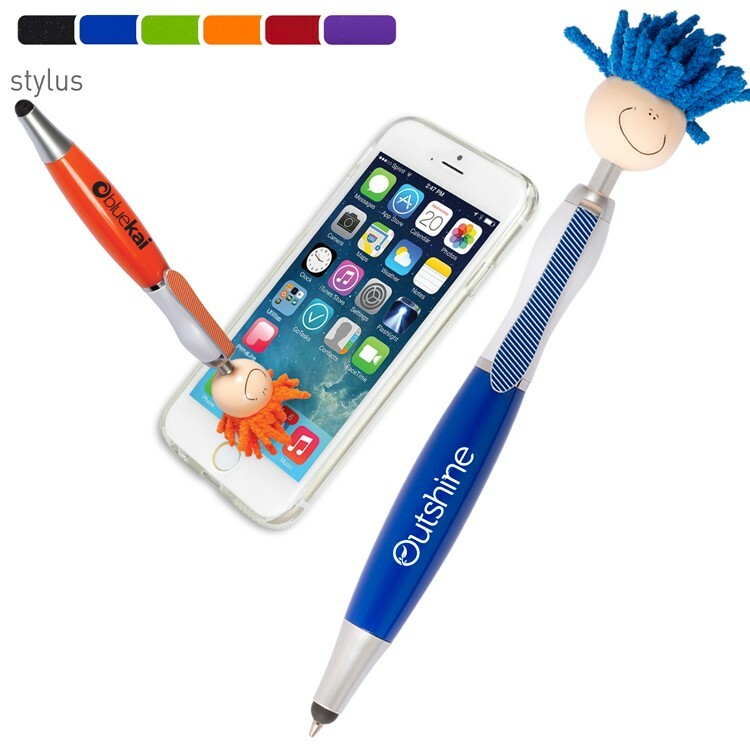 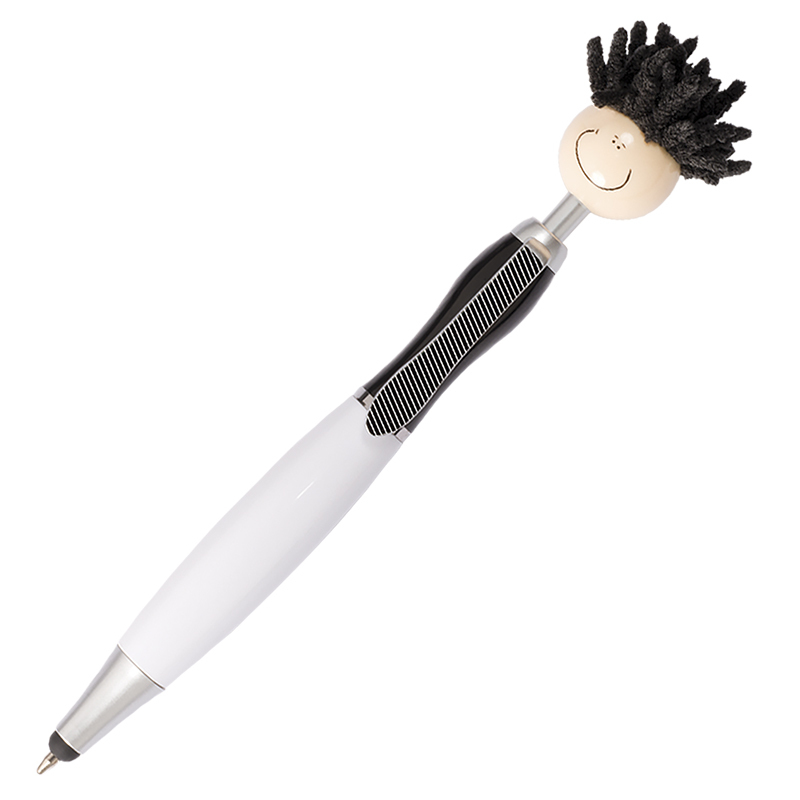 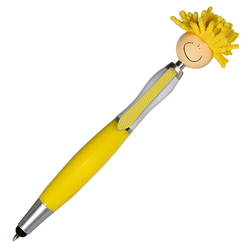 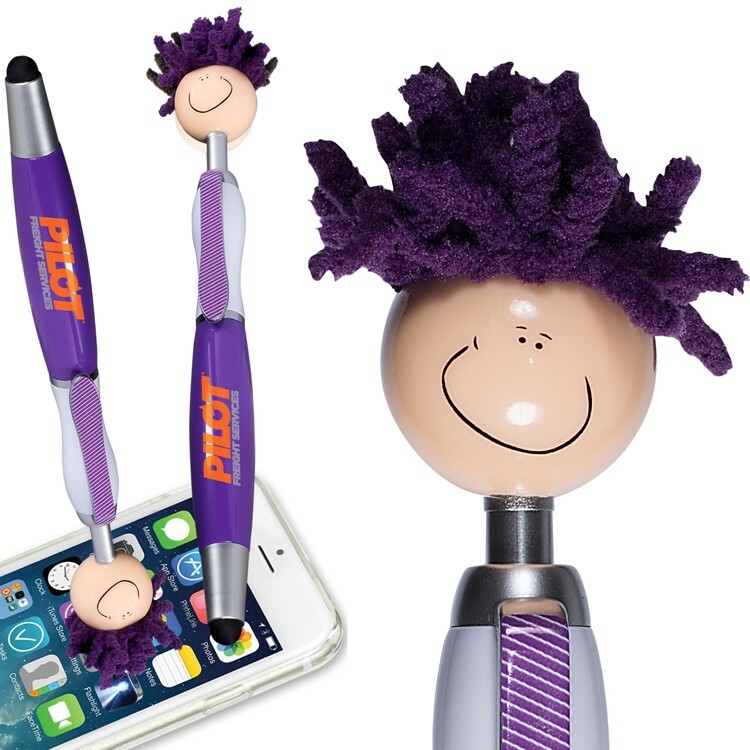 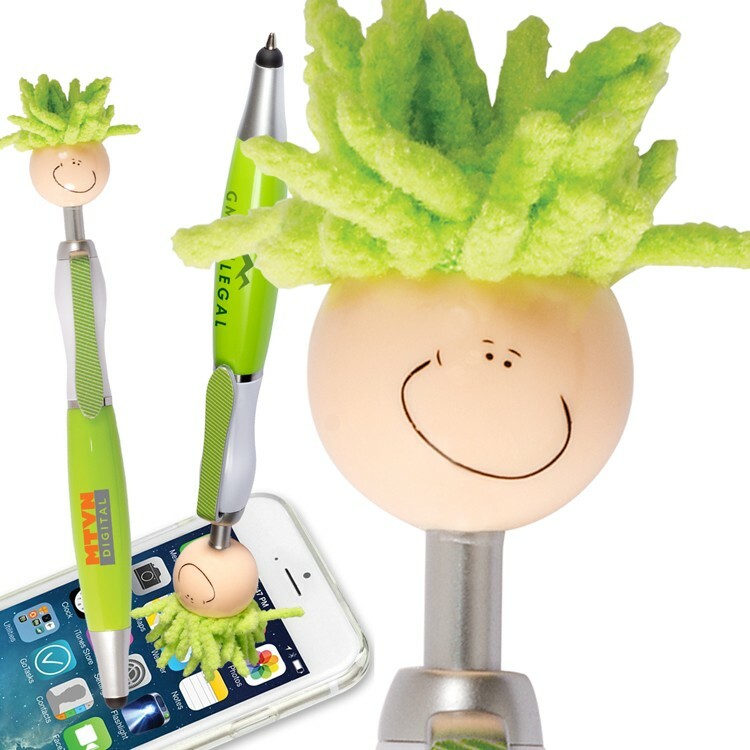 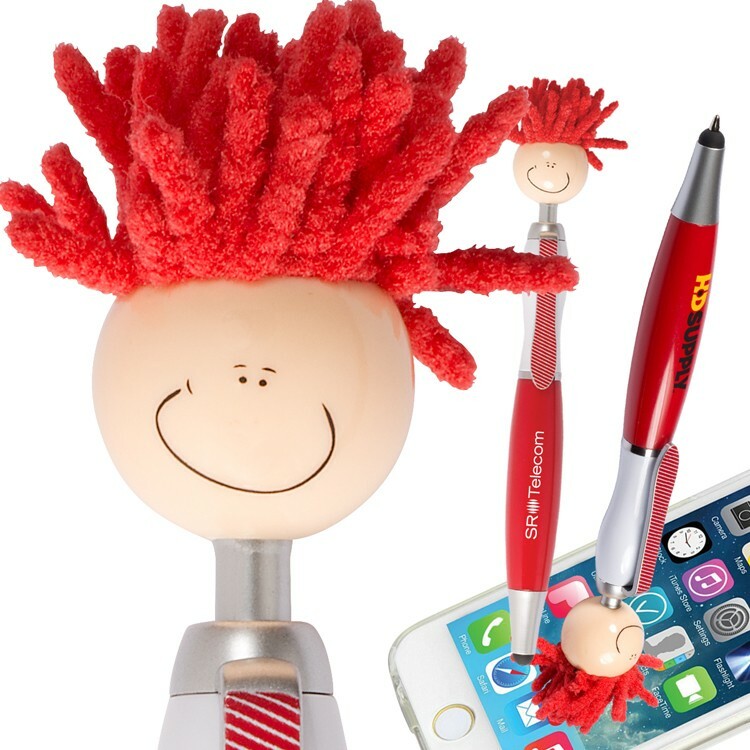 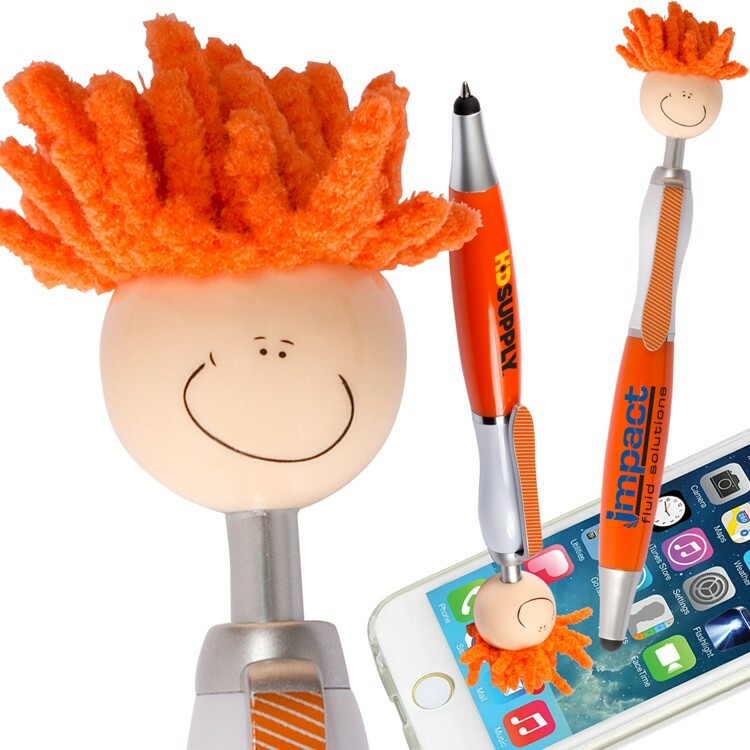 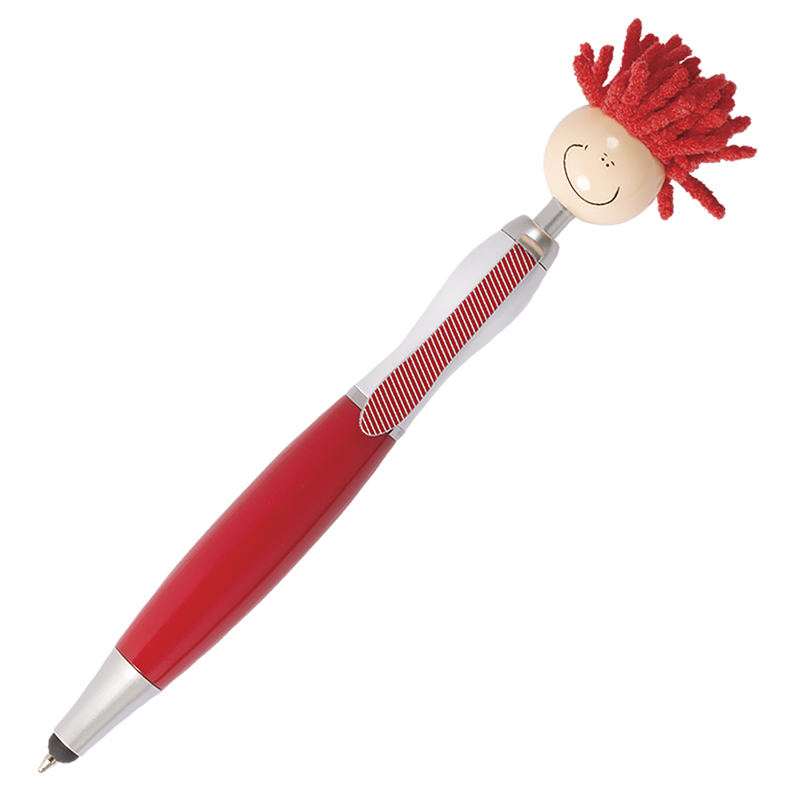 ABS plastic click-action ballpoint pen with smiley face, tie-shaped clip and mop-top hair. 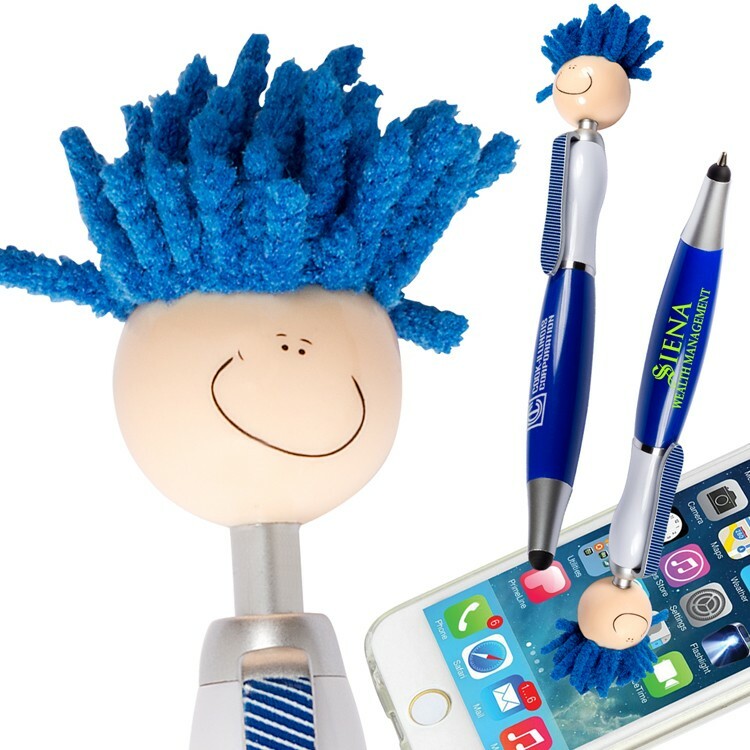 Long-lasting microfiber hair functions as a screen cleaner. 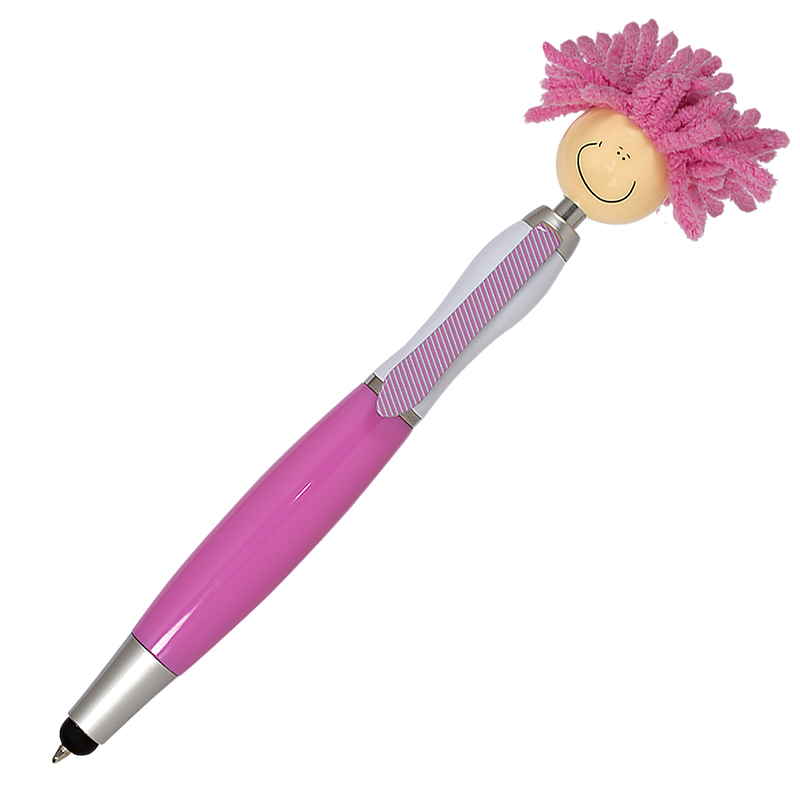 Soft Silicone tip for use with touchscreen devices.